London, United Kingdom: In a statement issued today, the Executive Board announced that Rwanda had gained the permanent membership of the International Youth Federation. 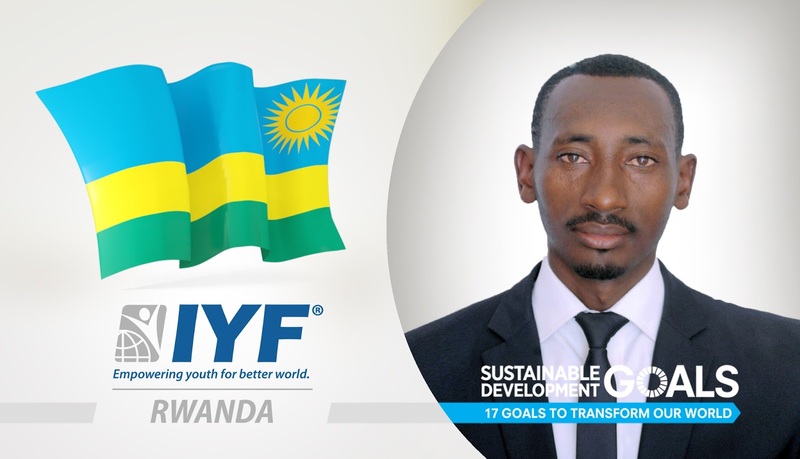 Our vision at the IYF is to enable young people in Rwanda to get their voices heard and giving talented and motivated youth the opportunity to acquire the skills and knowledge to actively contribute to the development of their societies. Mr. Joseph is a youth leader passionate about community development, youth empowerment, gender equality and environmental protection with 6 years’ experience working with youth development organizations. Under the “Youth lead change program”, Joseph engaged and empowered thousands of youth in his home country through training and coaching in entrepreneurship thus promoting job creation. He served as the "Official BYND2015 Hub Coordinator" a youth forum that contributed youth voices to the SDGs development during the BYND2015 Global Youth Summit held in Costa Rica 2013. He has also been part of youth forums and initiatives that empowered youth in rural communities to embrace education. Mr. Joseph holds a Bachelor’s degree in Crop Science from the National University of Rwanda and Master’s degree in project management from Foundation Universitaire Mercure.